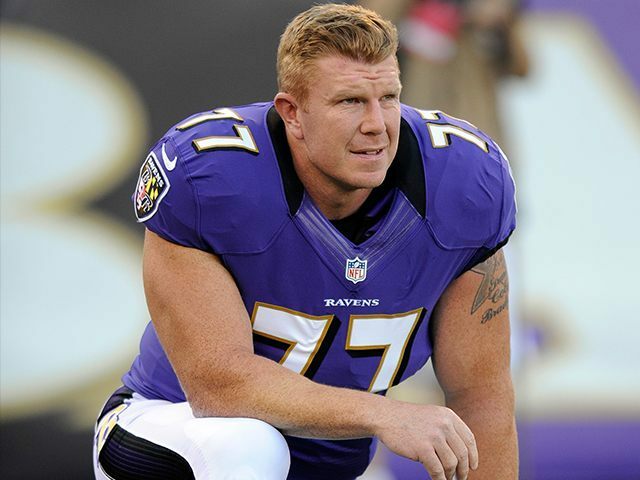 Former Baltimore Ravens center Matt Birk came to Washington D.C. for the March for Life – delivering a speech at the rally near the Washington Monument before the march to the Supreme Court. In an exclusive interview with Breitbart News, Birk explained why he was pro-life and why he came to the rally – even during a historic snowstorm that hit Washington D.C. during the march. Prior to his speech, he tweeted his support for those who braved the storm for the event. Rain, blood, snow, or mud- it ain’t stopping The March for Life! Birk made headlines in 2013 after the Ravens won the Super Bowl and he skipped the traditional team visit to the White House to be recognized by President Obama. He explained at the time that Obama’s position on abortion was why he declined to join his teammates at the White House. But Birk said people within the NFL and elsewhere praised him for standing up for what he believed in and even people on the street stopped him to thank him for his witness. Birk was hired by the NFL as the director of football development, after he retired from the Ravens. During the interview he recalled the support he had in the locker room for his faith and his beliefs. A lifelong Catholic, Birk and his wife have six kids and recently adopted a child into their family. He explained that as he and his wife got further involved in pro-life activism, they felt called to adopt. “It’s such a beautiful alternative – you have the evil of abortion and this most beautiful thing of adoption,” he said. Kirk declined to pick the winners of the championship games this weekend, but remarked that four excellent teams had made it to the finals.